Whitebeard the wizard has lost his powerful magic scrolls, and it's up to you as Waldo to embark on an adventure to find them! In THE GREAT WALDO SEARCH, you'll venture through dangerous places inhabited by ogres, giant lizards, fire druids, and wild beasts. There are several items you can find that will increase your chances of success: clocks that will give you more time, bonus points to increase your score, and a canine friend with his magic carpet. You'll find two levels of play one for beginners and one for Waldo aficionados. There's also a special Parent Play feature that allows a second player to join in the game to help the first player. 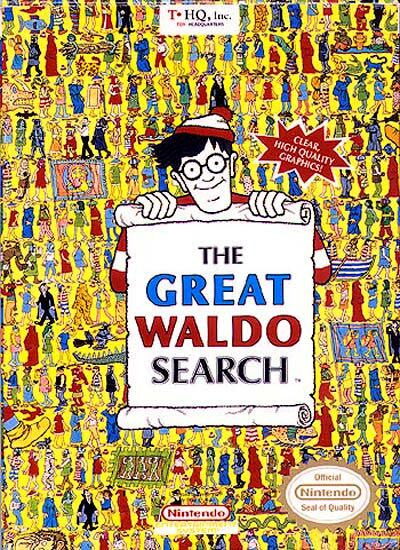 If you've got your mind set on adventure, then you're ready for THE GREAT WALDO SEARCH.